Effective immediately the appellation “Project Wallaby” is retired as the project pushes to live status. Say hello and welcome to our newborn son, Ezra K. Ordoveza! Ezra was born at noon on June 9th, 2016, after twenty-five hours of labor. At birth Ezra weighed 7 lbs 7.5 oz and measured 21.5 inches in length. Full Flickr photo album: Baby Ezra. The floor is now open to your baby questions. Why’d you take so long to post about it? 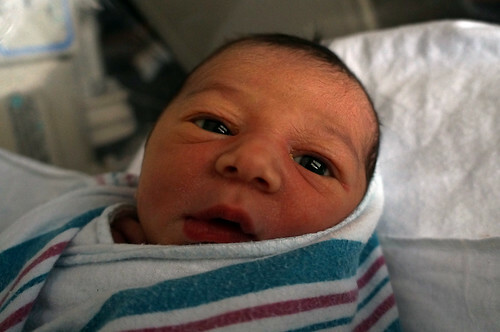 Well, it turns out newborn care is kind of time-consuming. Wasn’t Ezra opposed to interracial marriages? 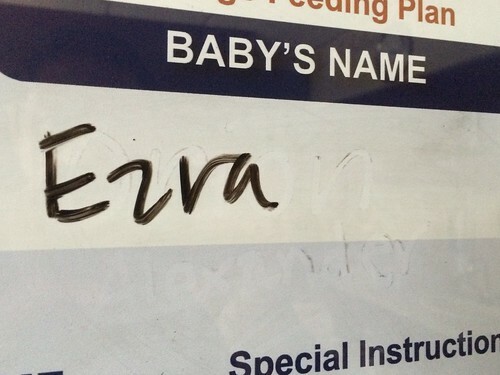 What was Ezra’s 5 minute Apgar score? Nine! He really is an exemplary baby. How did the cats react? 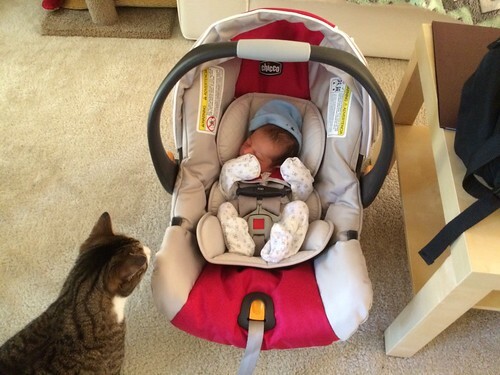 There has been a lot of wary sniffing, and some really alarmed staring when the baby goes on a long crying jag, but after the initial shock the cats seem mostly indifferent, which is a relief. Did you do the Lion King thing? Can we see more baby pictures? More photos of our son’s journey to life are in the “Baby Ezra” (formerly “Project Wallaby”) photoset. You may also enjoy this video of him riding in his mamaRoo.